This is one of the easiest breakfast ideas, and it’s so quick, it’s perfect for those busy mornings. 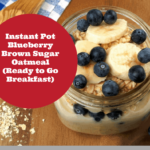 My youngest son has never met a blueberry that he hasn’t liked, so this breakfast is perfect for him, and the use of cinnamon and brown sugar, makes it sweet, but not unhealthy, which is a great balance. 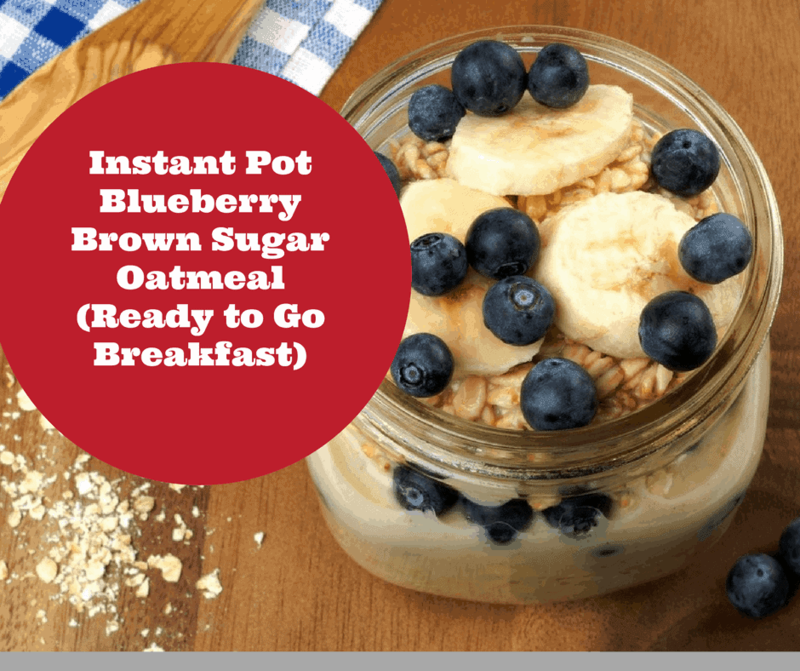 Who knew you could make homemade single serving oatmeal in your Instant Pot? You only need a few ingredients, some fresh fruit and you are already on your way. What really works well in this recipe is the use of rolled oats. If you aren’t familiar with oats, there are three main types, steel-cut, rolled and instant oats. The main difference in all three types is really just the level of processing each oat has gone through. The result of how much the food company has processed your food effects the cooking time of each oat. Steel cut oats take the longest to cook, that is because they have been chopped from the whole oat. It has the texture uncooked of being similar to rice. It is a very hearty oat. These do amazingly well in the Instant Pot, and I usually make them a few times a week. The third type of oats is quick or instant oats. These are the ones that are already precooked and dried, they are the ones you ate, that came in packages, ready to eat, that you just added water to. Do you remember those? I think I had those almost every day as a child. This recipe that I am showing you today, is easily changed out for other fruits, especially as the summer is coming, and your choice of fresh fruits, will increase. 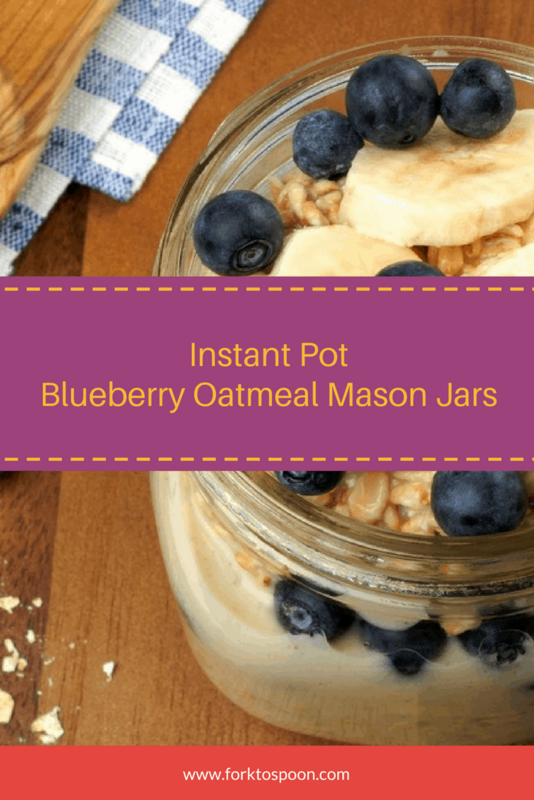 Start by adding 1/4 cup of rolled oats mixture into the mason jar. 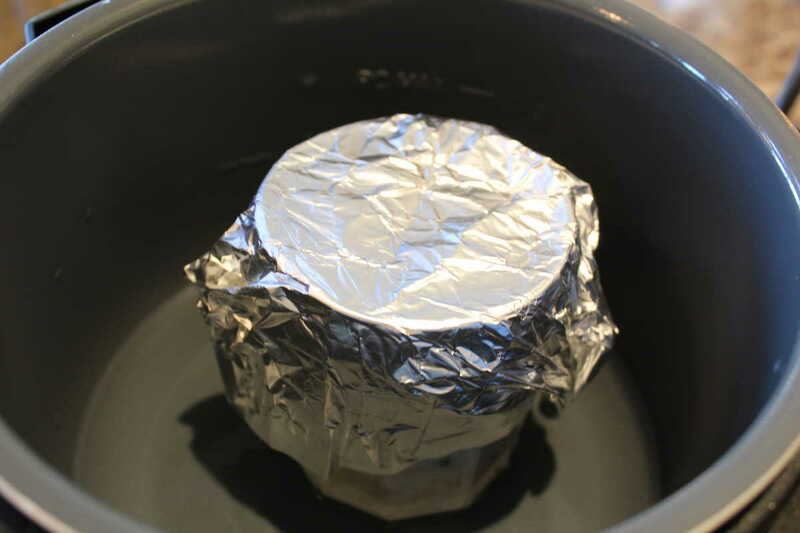 Cover with foil, before you put in the Instant Pot. mix together the rolled oats, cinnamon, baking powder, brown sugar and salt in a bowl. Then in another bowl, mix together the milk and vanilla. 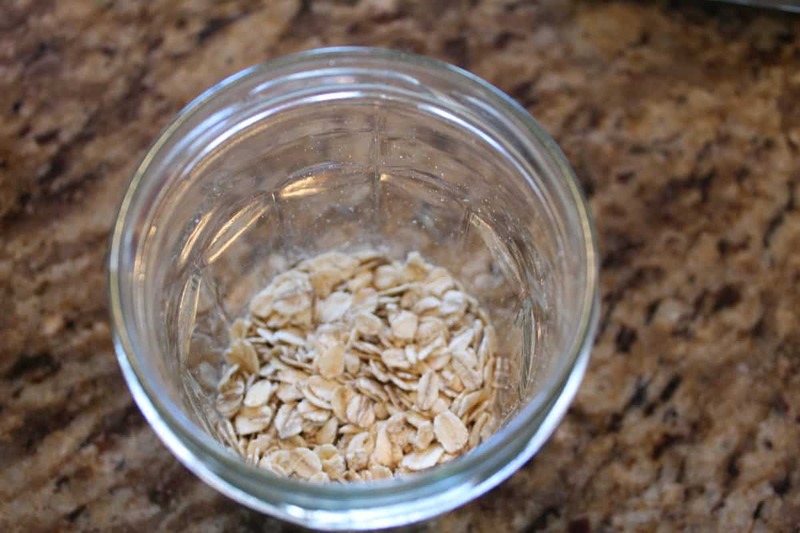 Then scoop 1/4 a cup of the oatmeal mix into a mason jar, then scoop 1/4 cup of the milk/vanilla into the same mason jar. Continue until all of the oatmeal and milk has been used up. 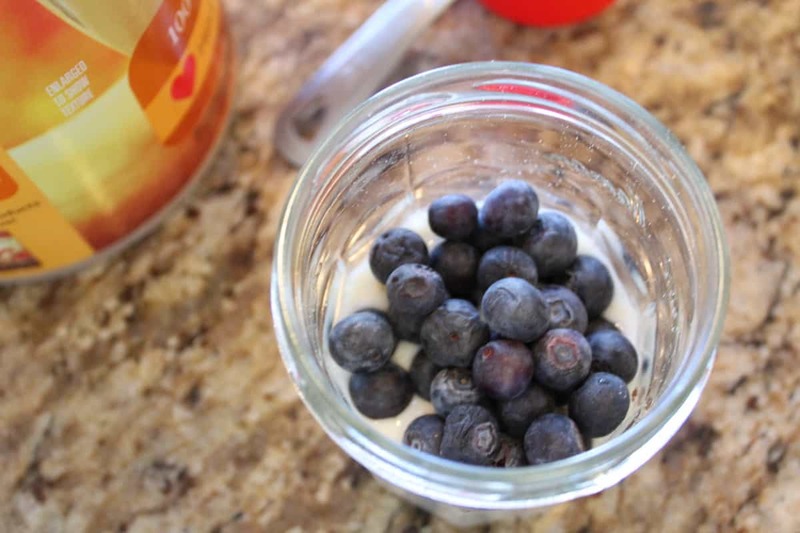 Then sprinkle blueberries on each mason jar. 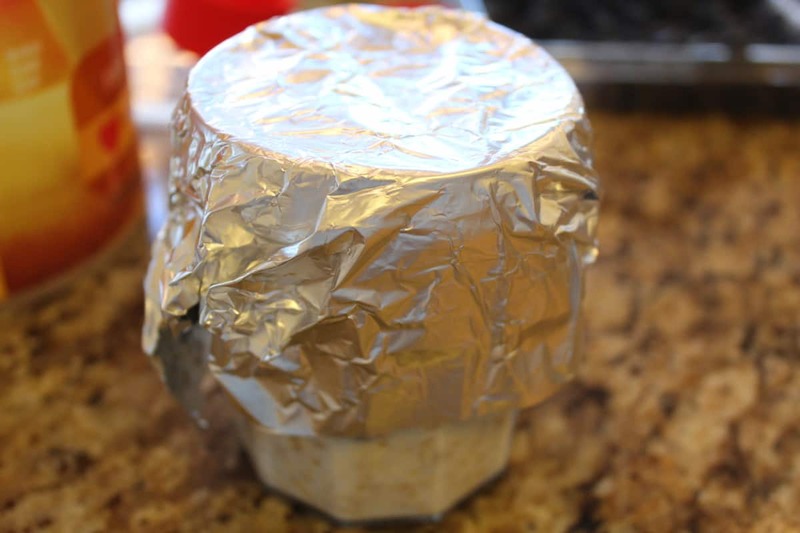 Cover the mason jars with aluminum foil. Then prepare your Instant Pot or Pressure Cooker, pour 2 cups of water into the Instant Pot Bowl. The place your mason jars inside. Add the lid, per the instructions, and make sure it's in the "sealing position" Set the manual LOW pressure for 12 minutes. When the time is up, do a natural release. Let naturally release, and then remove them with an Instant Pot Mitt, as they are hot, and use or refrigerate.